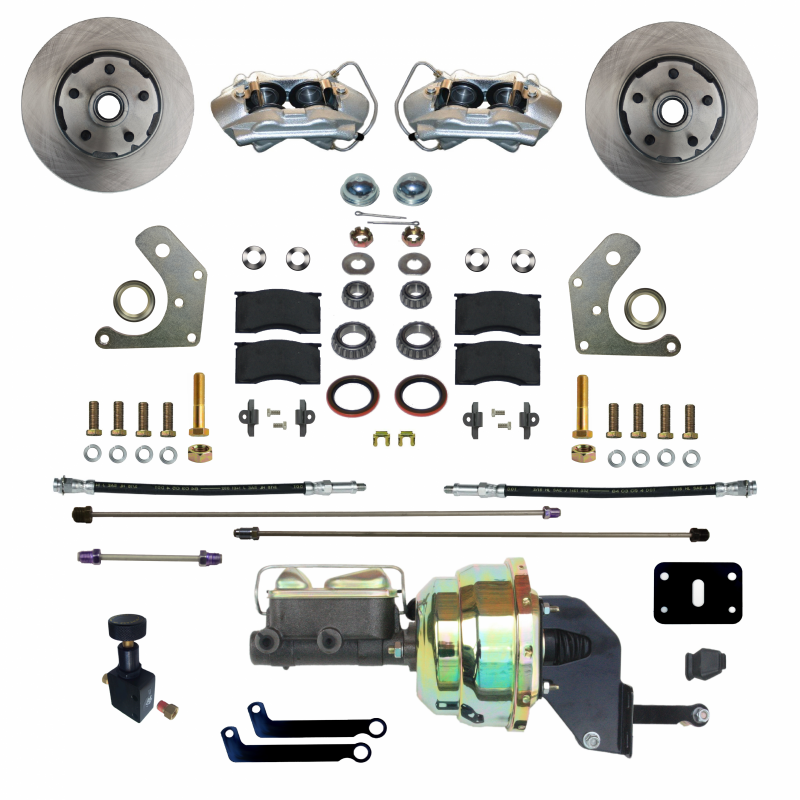 The LEED Brakes kit has everything you need to mount factory style 4 piston disc brakes to the original drum brake spindles currently on your vehicle. The LEED Brakes kits are an easy installation mounting to all factory mounting locations. All components in these kits are new high quality, precision machined products. A great kit with a factory look and easy installation! Click on an image below to view more info. All kits ship complete with everything you need for an easy installation, just add brake fluid and bearing grease. Calipers are Zinc Plated for Anti-Corrosion protection to keep your brakes looking new! Our 4 Piston calipers use Stainless Steel Pistons as a standard to ensure your calipers are leak free for the life of the vehicle. 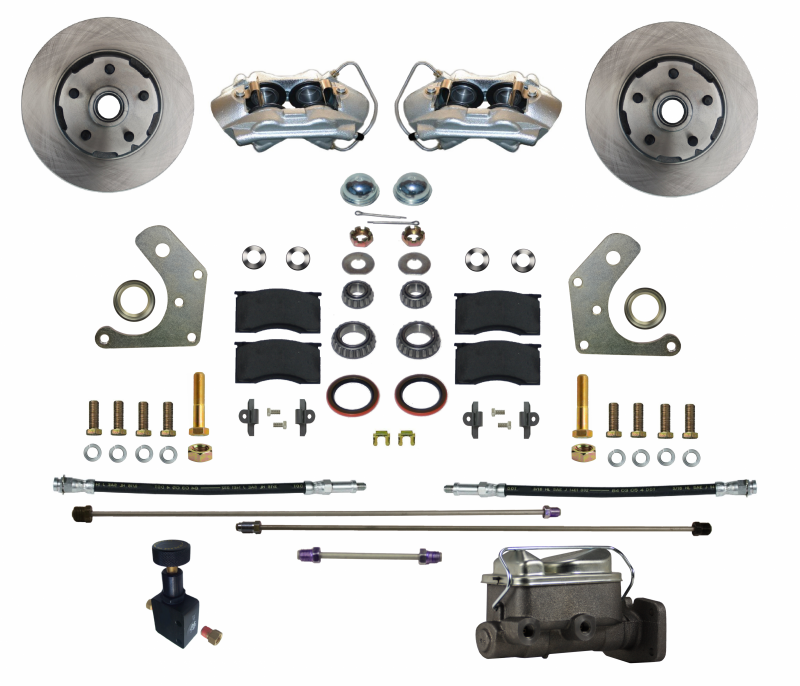 All LEED Brakes kits for the 1964-74 E Body are a simple installation. 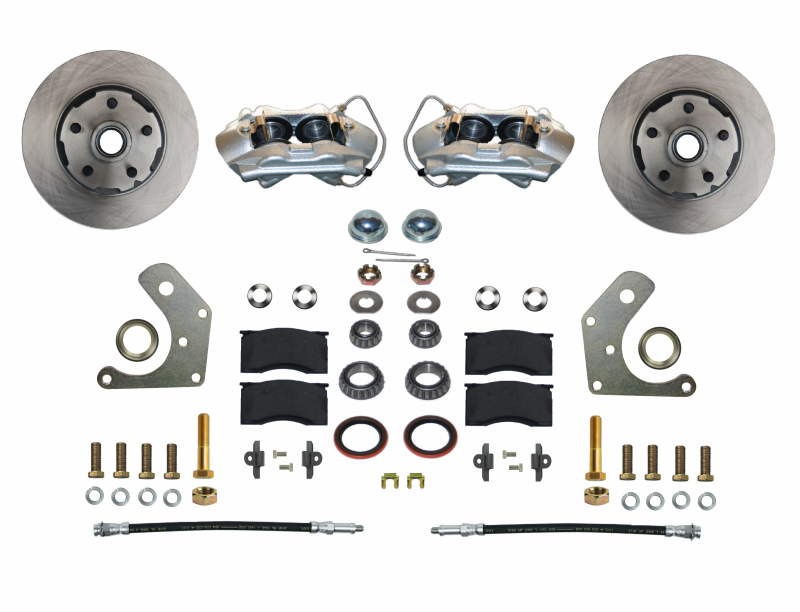 Our disc brake kits are designed to fit to your factory drum brake spindle, eliminating the need to re-align your car's suspension after installation. The stopping power comes from our 4 Piston Caliper which is a replica of the Factory Kelsey Hayes calipers used on the early factory disc brake Mopars. Our calipers are assembled with stainless steel pistons and have a zinc plated finish on the caliper casting for maximum corrosion protection. One question we get a lot is “How do I install the brake lines to the new master cylinder?” LEED Brakes has made this installation very simple by including brake lines that install from the new master cylinder to your factory distribution block. Simply bench bleed your master cylinder in a vice off the vehicle. Next mount the master cylinder to the firewall, install your new brake lines and bleed the rest of your system. The power booster installation is simple as everything mounts in the factory power brake mounting locations on your firewall. These locations detailed in our instructions and require some firewall plate modifications on factory power brake cars. These are simple modifications that are outlined in our instructions. If you do have any questions about the brakes on your Mopar please call our tech experts at 716-852-2139.